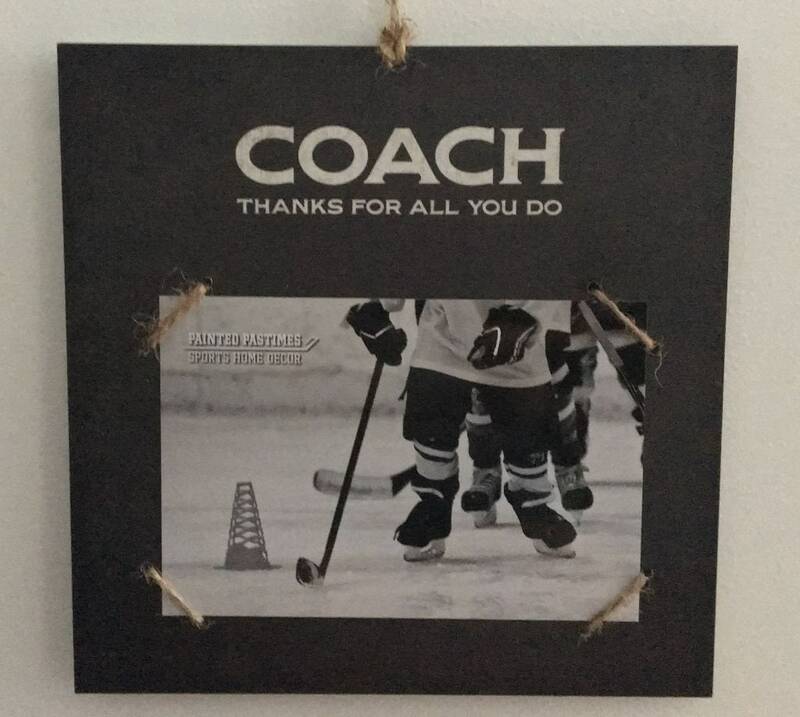 Shown with a hockey photo, but this would be a great gift for any coach. 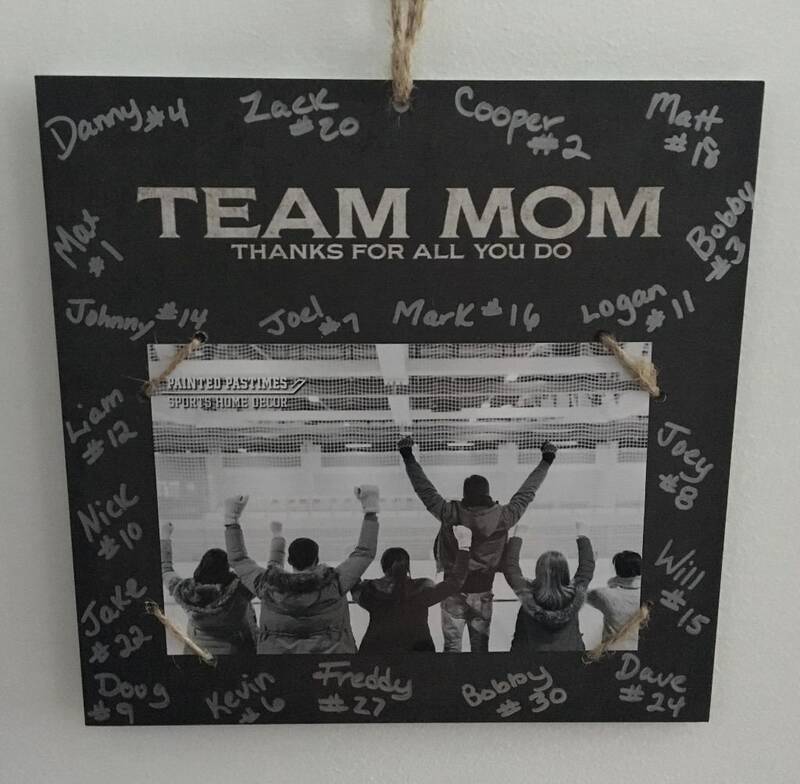 Check out our shop for this same item, but shown with baseball, lacrosse, basketball, football and soccer photos. This gift was a hit! Nice price for how thick and quality it is. Great for a masculine gift! Very great communication and very fast shipping. Thank you!! 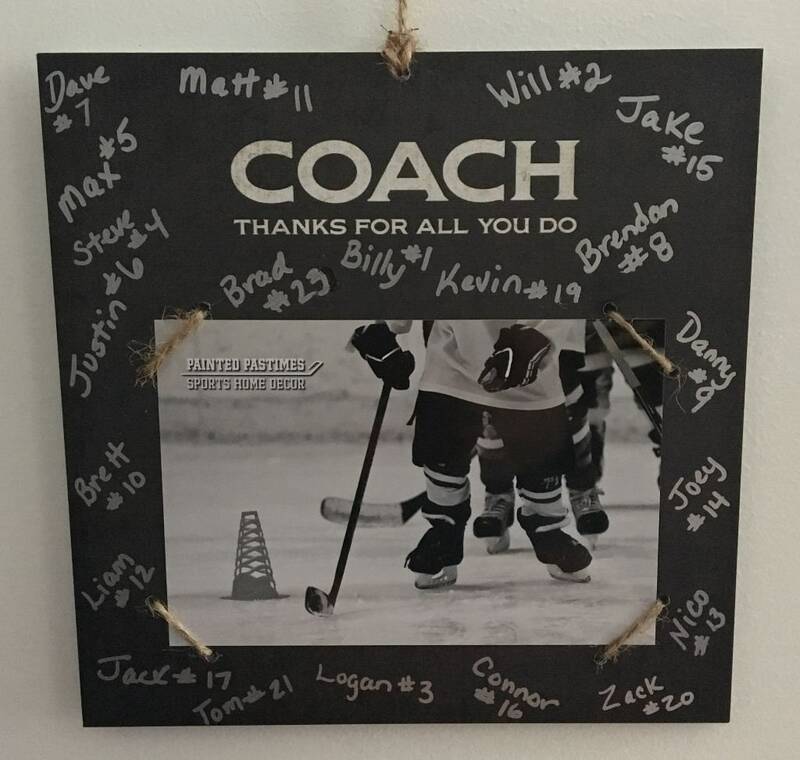 This is a such a great gift for coaches. Good quality, sturdy, easy to write on, and it looks beautiful with a personal photograph inside. Loved that it included a silver Sharpie to make personalization simple. I would definitely shop from this seller again! Great quality. Very versatile gift. Thanks for including the sharpie! !